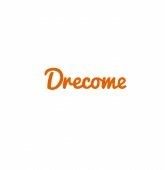 Company: Drecome Myanmar Co., Ltd. Content Writer Content Writer Job briefWe are looking for a Content Writer to join our team and enrich our websites with new blog posts, contents, guides, and marketing copy.Content Writer responsibilities include conducting thorough research on beauty and health industry related topics, generating ideas for new content types and proofreading articles before publication. 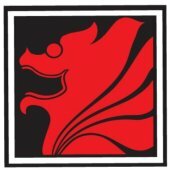 If youre familiar with producing online content and have an eye for detail, wed like to meet you. Feel free to share samples of your work or portfolio of your published articles, along with your application. Content Management Systems Beauty and health industryrelated topics combining online source, interviews, and studies.Write clear marketing copy to promote our servicesproducts.Make creative ideas for the article and video contents.Prepare wellstructured drafts using Content Management Systems.Proofread and edit blog posts before publication.Submit work to management for input and approval 1 week prior to expected upload date.Coordinate with marketing and design teams to illustrate articles and videos.Promote content on social media.A minimum of 4 articles are expected per week to be uploaded.Identify customers needs and gaps in our content and recommend new topics.Ensure allaround consistency style, fonts, images, tone, and grammar.Update website and Facebook content as needed.